While TCL officially released the BlackBerry KEY2 on July 6th at the three major telecoms and SaskTel, it’s now available for pre-order at Walmart. 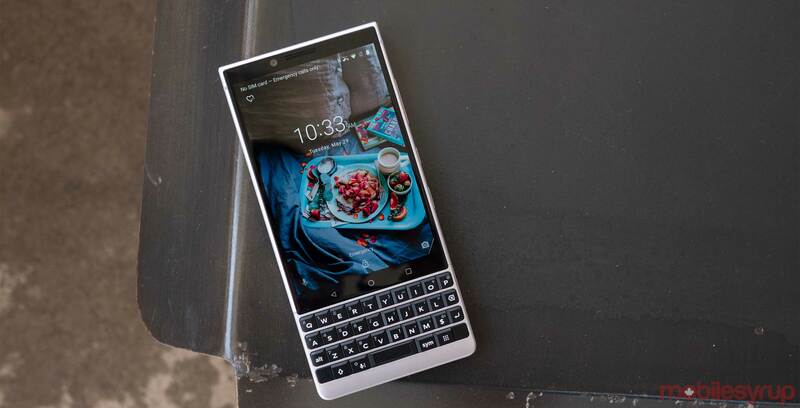 The unlocked BlackBerry KEY2 will be available in Silver and will ship on July 16th with pricing listed at $829.98 CAD. Shipping is free and the phone is only available online, according to a BlackBerry spokesperson. The BlackBerry KEY2 features a 4.5-inch IPS LCD display, a QWERTY keyboard, a Snapdragon 660 chipset with 6GB of RAM and up to 128GB of storage — though the KEY2 at Walmart sports 64GB of storage. The handset will also be available online at BestBuy, Amazon and Staples. Check out MobileSyrup’s full review of the KEY2 here. Winner announced in our BlackBerry KEY2 contest!